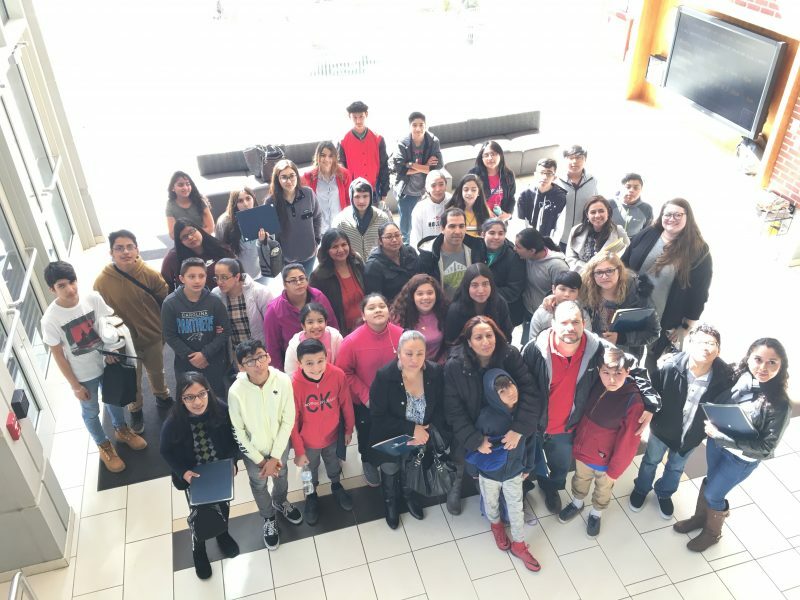 On Saturday, March 16, 2019, 30 students and 19 parents received their certificates of completion for their participation in the Heritage Language Academy (HLA) program! The HLA program was developed as a university-school collaboration between the Teaching English to Speakers of Other Languages (TESOL) program in the Department of Teacher Education and Higher Education (TEHE) at UNC Greensboro and Asheboro City Schools (ACS) in 2008. It aims at developing bilingual connections for students by building upon their home language backgrounds, and invites parents to participate in bilingual home literacy and computer literacy activities. The 2019 HLA program was housed in North Asheboro Middle School (NAMS) with the support and leadership of Dr. Terry Worrell, ACS superintendent; Ms. Robin Harris, ACS Director of Federal Programs and English Learners; Mr. Jordi Roman, Director of Elementary Education, Dual Language and English Learners; and Ms. Candace Call, Principal of NAMS. HLA teachers included Jennifer Gold, Adriana Paschal, and Claudia Rodriguez. Jill Hancock served as the Instructional Assistant who supported the program with child care. Shameeka Wilson, teacher from Balfour Elementary in ACS and current TESOL M.Ed. candidate, assisted the program delivery. This year, student and parent participants worked on financial literacy projects. In addition, HLA teachers, together with Dr. Ye He and Tierney Hinman, received funding from the Coalition for Diversity in Language and Culture (CDLC) to conduct teacher action research as part of the HLA program. Dr. Colleen Fairbanks, TEHE Department Chair and co-founder of CDLC, participated in the ceremony on March 16 and awarded certificates of completion to all HLA participants. With the continuous support from the Teague Foundation, the 2019 HLA program certification recipients were awarded gift cards from Barnes & Noble and purchased books to start and expand their home libraries. Congratulations to this year’s Heritage Language Academy participants! This entry was posted in Global, SOE, TEHE and tagged heritage language academy, HLA, soe global, tehe, tesol, unc greensboro. Bookmark the permalink.